Create your own golf course. Support for 27 holes course/game. Share Game Statistics(as .png file) with friends. Map-mode, can review shot path on MAP-SCREEN. Non-map-mode, only record score and clubs used. GAME-LIST-SCREEN, list games ever created. MAP-SCREEN, review shot path on map. COURSE-LIST-SCREEN, list courses ever created. TEE-GREEN-SCREEN, identify tee and green position. VIEW-COURSE-SCREEN, view course when not at the golf course. Recent Statistics, game statistics from the most recent 3 games. 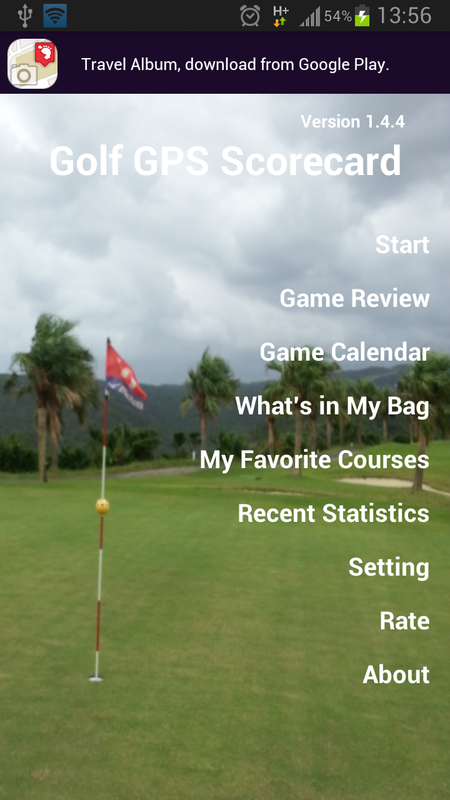 Benefit Record every shot with which club, how many shots and take pictures from current position.Calculate and show distance between shots.Track and review shot path.Review your historical games ever created.Game statistics.Snapshotapp screen and save it as .png file on phone for reference, for example, post on Facebook, sharing with friends, as your course reference and so on.Measure distance between current Geo position and the point you clicks on your phone screen. 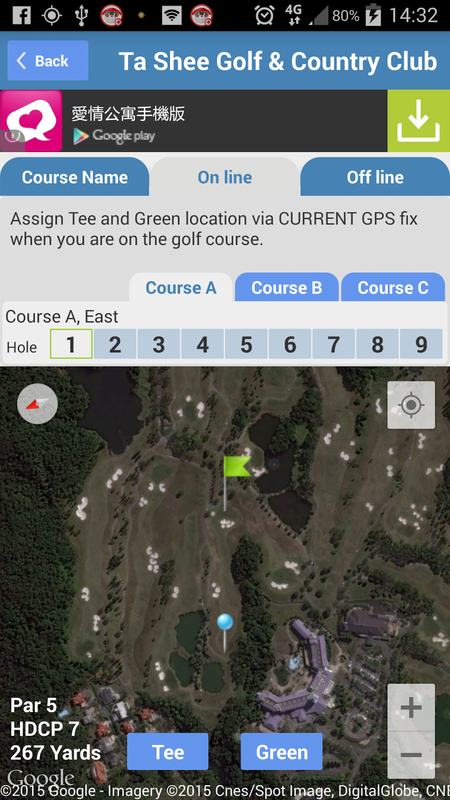 Assign Tee and Green via GPS fix when you are on the golf course. Tap the Tee button to assign current GPS fix as the Tee location.Tap the Green button to assign current GPS fix as the Green location.